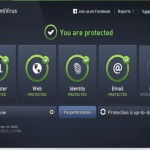 AVG AntiVirus 2016 is high-performance security software, The new AVG 2016 has improved scan engine very attractive interface and a complete virus protection system, that is working in parallel with a comprehensive anti-spyware detection system, with light system resources required with automatic updates and many new and improved features such as social Networking Protection and AVG Identity Protection…. NO Boot CD for emergencies. Avg AntiVirus 2016 achieved high scores according world’s leading 3rd party software quality and antivirus efficiency certification providers in every category. 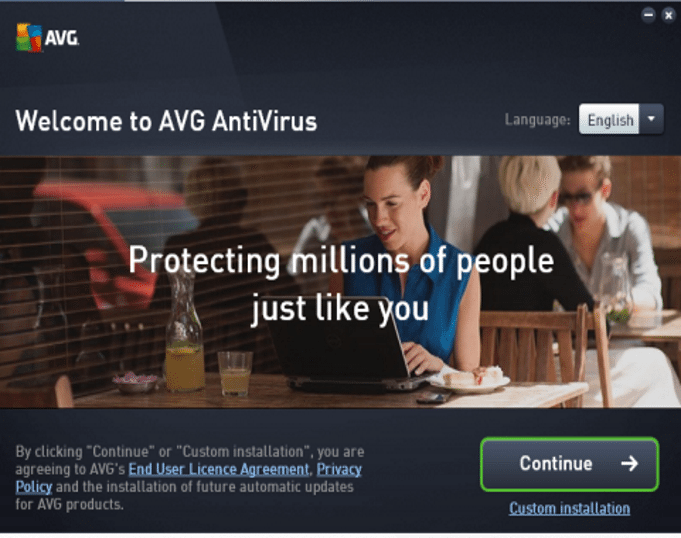 The efficiency of installing AVG Anti-Virus 2016 is of the highest levels, even when the product is being setup by less technically savvy users. Installation is quick and straightforward and does not require a system reboot. 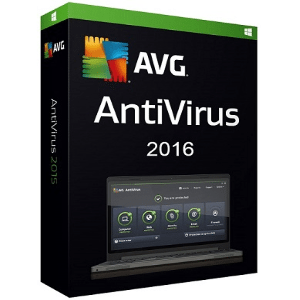 AVG Antivirus 2016 The interface has been improved since the last version, The interface is clean with straightforward navigation. , updated and seemingly simple. The main screen is clear and easy with clear scan button and further details are available for configuration if needed. Part of AVG strength is found in their comprehensive feature set. 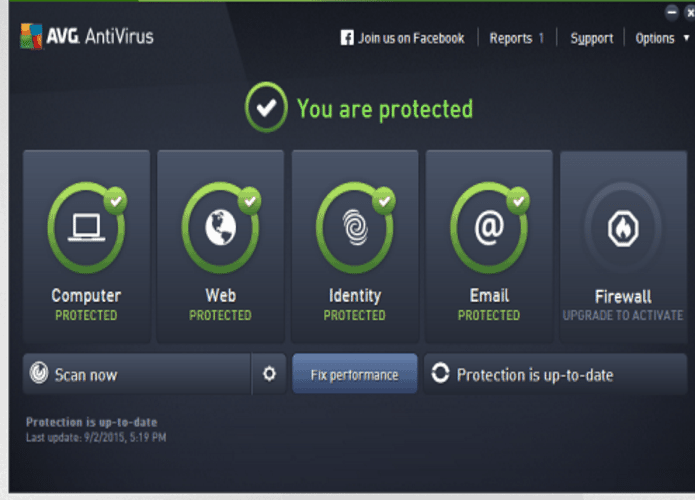 which designed to enhance protection and ease of use and the new AVG Antivirus 2016 is no different it offers a complete set of features to protect your PC, Cloud-Enhanced Whitelisting, which will enhance emerging threats in the AVG Cloud database which will be easy to Identifies and prevent any new virus and malware with automatic updates to your antivirus software.. including mobile devices. The AVG Online Shield scores very high during out test this shield will check all files before you download them and ensures online chat links are safe. 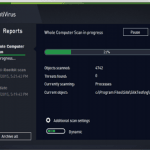 It checks files against both AVG’s Scanning Engine and using the LinkScanner technology a very good way to keep your PC protected against any malware. One of the new feature that directly improve your security is AVG Identity Protection which will improve online activity on the net and stops criminals stealing personal data on your PC. 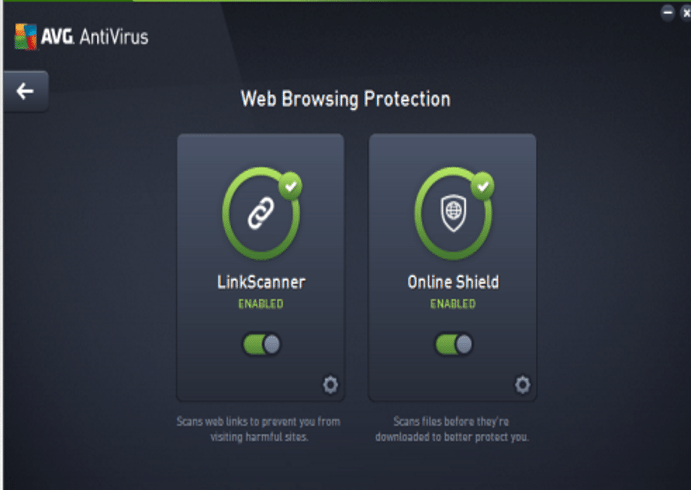 Also AVG improved Anti-Rootkit engine which will Detects and removes dangerous rootkits that hide malicious software that seeks to take control of your computer also with the Social Networking Protection which allow Automatically checks links exchanged on Facebook, Twitter in real time so that you and your friends stay safe. .
AVG offers three levels of scan mode AVG Turbo Scan, Game Mode, AVG Smart Scanner , Gamer Mode which will suspend pop-up notifications, scanning and scheduled tasks while playing and AVG Smart Scanner will only scan your PC when you’re not using it. Drops to low priority mode as soon as you move your mouse or hit a key. To keep scan times to a minimum it ignores files it’s already scanned and knows are safe and this will keep your CPU Usage to a minimum. Real-time resource usage was the very good compare to other antivirus software in the market, Bitdefender the only one score higher. AVG using only about 0.8% of CPU/memory. 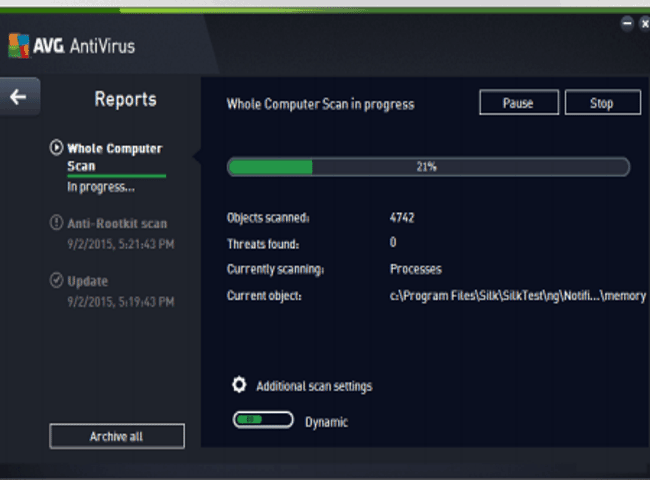 AVG takes care of almost all threats it finds during our scan test. there were a couple problem threats that needed additional work to clean; it asked permission before taking further action. Only once did it require a reboot to finish the cleanup. AVG detected 94 percent of the preexisting threats, not very high score comparing to our best endeavors BitDefeneder Antivirus Plus. .